The first step of getting rid of something—or someone—toxic is actually recognizing the fact that it’s harming you. 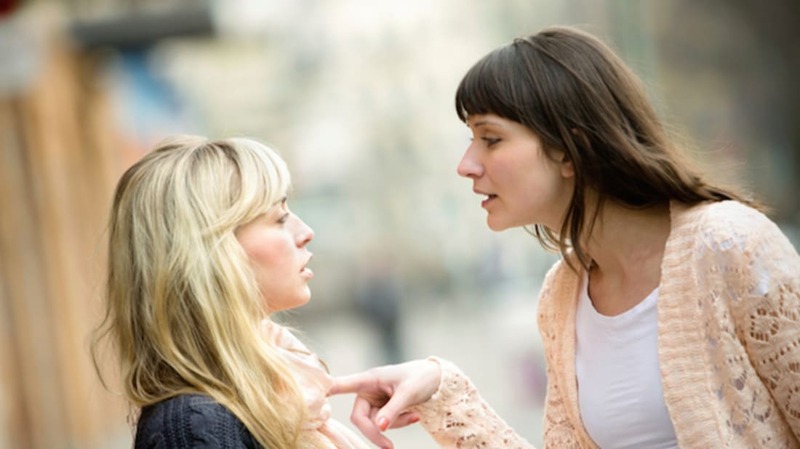 “Toxic people are manipulative and often selfish,” says Mackey. “They're difficult to please and impossible to work with, even when you're trying to help them. They have a hard time owning their feelings or apologizing, and they will consistently make you prove yourself to them." If a relationship is weighing on you constantly or bringing you down significantly more than it's building you up, it’s time to let go. "Toxic people are a distraction from your true purpose," says Mackey. “Toxins have to be met with a powerful force,” says Mackey. “It's likely that they won't just respond to ‘Go away,’ and will perhaps even dig their claws in deeper if you try to create a separation. Don't let this discourage you.” Be very, very clear with the person about your intentions, then keep the necessary distance to make sure your message isn’t misconstrued. … and stick with them. “Stick with your boundaries long-term or [toxic people] will use any weakness over time to sneak back into your life,” says Mackey. “If you told yourself you wouldn't respond to their texts, don't. Block their number and block them on all social media. Don't send them any e-mails and don't check in six months from now.” Once you’ve made the decision to end a relationship, you’re responsible for keeping the guidelines clear after the fact. 4. DON'T BE TOO NICE. It may sound harsh, but since toxic people tend to take advantage of any kindness that’s imparted on them, being overly nice can be detrimental. “Realize that they get their energy from draining your loving, good nature,” says Mackey. “They thrive on your trust and kindness.” It doesn’t mean you have to be cruel (to paraphrase Michelle Obama, when they go low, you want to go high), but you should stop going out of your way to be overly accommodating. 5. REALIZE IT'S NOT YOUR JOB TO SAVE THEM. If things are truly dire for your friend, you can direct him to resources that specialize in his particular issues. Solving his problems is not only not your responsibility, it's likely beyond your capabilities. 6. KNOW THAT WHEN IT'S DONE, IT'S DONE. If the toxic person is family, and it's therefore impossible to make a clean break, you can still establish clear limits for your interactions (be it, we will only speak on the phone once a month or you will only visit during the holidays). 7. TREAT YOUR SEPARATION LIKE THE BREAKUP IT IS. Yes, we need relationships, but we don’t need every relationship—especially ones that bring us more pain than support. “Energy flows where attention goes,” says Mackey. “The more selective you are about where your focus is, the more successful you'll be. The more time you spend away from toxic people, the more time you have for yourself and the people that are positive, uplifting, and important to you.” Make time for people who bring you happiness, and let go of those who bring you anything less.